Kaiser Permanente’s highly rated Medicare health plan website, kp.org/medicare, has launched a new feature that is designed to help seniors find information more easily and conveniently. While everyone works to follow the ever-evolving digital landscape, measuring ROI has become a difficult task for many. When looked at holistically — through the prism of a proven digital sales funnel — it becomes much easier. The Digital Services team at KBM Group has published a white paper discussing how to best measure online ROI despite the moving target that is digital marketing. Insights and trends in the digital world include: value of paid search, changing SEO, social media lead generation and taking mobile mainstream. External content resources add value to every Medicare plan website while also boosting SEO results. “The Savvy Senior” provides links to 800+ .GOV, .ORG, .COM sites and is maintained by nationally syndicated columnist Jim Miller. External content resources add value to every Medicare plan website. 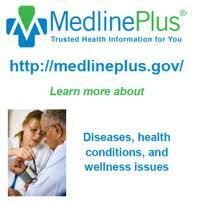 Among the best health topic sites available for Medicare plans to link with is MedlinePlus maintained by the National Library of Medicine. We invite sharing general interest, expertise, questions and answers pertaining to Medicare Advantage websites. Learning about new advances and what does or does not work can rapidly expand the working knowledge, functionality, relevance and readiness for all Medicare plan websites. Looking forward to posting feedback, comments and suggestions from MedicareWebWatch bloggers.